Hello? Is Adele about to announce an Australian tour? 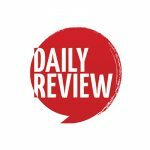 | Daily Review: Film, stage and music reviews, interviews and more. Hello? Is Adele about to announce an Australian tour? Rumour has it that the 28-year-old English music sensation is on the cusp of announcing an Australian tour, with a mysterious ad appearing on Nine and Seven last night during The Block and X-Factor. The 30-second clip features just Adele’s eyes and her voice singing the words “hello” three times, harking back to her hit single Hello from her most recent album 25. It’s assumed the clip is a promo for the tour, which will apparently be announced on Wednesday by Live Nation. Adele has previously said that she’s planning a tour to Australia, and there are rumours circulating that it will take place in March next year. Adele has never done a major tour of Australia before, and given her huge success and popularity here, we wouldn’t be surprised if it became the fastest-selling Australian tour in years. The singer wraps up her hugely successful Adele Live 2016 tour of Europe and North America on November 21 in Phoenix. The tour saw her play eight nights at London’s O2 Arena, six nights at New York’s Madison Square Garden, and six nights at the Staples Centre in Los Angeles.